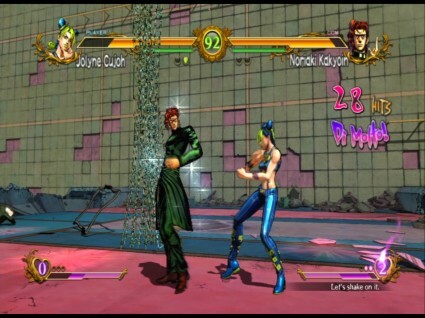 JoJo's Bizarre Adventure: All Star Battle Review - This Is My Joystick! I tend to be very picky when it comes to selecting the types of anime and manga that I invest in, preferring the dark and brooding over the colourful and crazy. This, of course, means that I have many blind spots in my knowledge of both fields’ most popular series. One such blind spot includes the manga JoJo’s Bizarre Adventure, a series that has apparently been going strong since as far back as 1986. Thankfully my ignorance didn’t prevent me from fully enjoying JoJo’s Bizarre Adventure: All Star Battle, the latest 3D fighter from CyberConnect2 , though unfortunately some minor gripes and online technical issues did. Who is JoJo? In what sounds like a philosophical answer, ‘JoJo’ is not one person, rather it’s a recurring nickname for many members of the Joestar bloodline at different points in time. This is the simplest part of the franchise’s lore to follow; for the uninitiated the rest is a befuddling mix of melodrama and whimsy, and All Star Battle makes very little effort to educate you in such matters. This is a bit of theme, as not only does it fail to provide any sort of introduction into this established and confusing universe, it doesn’t really tell you how to play either. This is a shame because not only does the colourful outlook seem like it would be like a ton of fun if you were in on the joke, there also are a load of interesting mechanics at play that are never really taught in depth. To this end, the undercooked Practice mode proves a token effort, only allowing you to batter a toothless opponent that can merely attack as much as you set them to. This seems a massive oversight in comparison to other recent genre entries, where great strides have been made in teaching new players important subtleties. Mysteriously too, it’s the Story Mode that bills itself as a place to learn, yet no actual teaching ever takes place. Here you play through one of seven ‘Parts’, with each part representing a different time period in the JoJo canon. This mode is puzzlingly stunted; you only have access to a handful of key fighters as you re-enact significant fights from the source material and, as such, you find yourself fighting the same few foes over and over again. This resulted in an incredibly boring endeavour for this non-fan, and sadly it’s essential if you want to unlock all the available free characters. 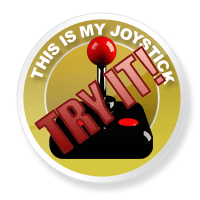 Couple this with context-free dialogue, plus masses of text during lengthy loading screens, and it’s natural that I found much more entertainment in the classic Arcade Mode. Still, once you start getting a feel for the various gameplay systems, there is a decent – if slightly ropey – fighting game lurking underneath. All Star Battle follows the old three-button, high/medium/low attack setup and, as typical of the genre, you’ll also have an impressive number of special moves alongside which to knock seven bells out of your opponent. Each character also makes use of a distinctive style that opens up extra abilities; a character with a Hamon fighting style, for example, can enhance their strength, while Stand users channel a Persona-like creature who they attack through. The one that took me by the most surprise, however, was the Mount style, allowing my opponent to jump onto Horseback. Using these abilities can be a gamble, as in many cases they’ll make you more vulnerable to attack, so there’s a nice risk/reward system in place for using them. Of course, a modern fighting game wouldn’t be complete without super moves, and All Star Battle is no different. There are two levels of super here; the Heart Heat Attack is an ostentatious move than can be performed when one level of your gauge is full. A more powerful super, the Great Heat Attack, is possible with two bars and its extravagance somehow makes what was ‘ostentatious’ look positively dreary in comparison. Land these in the right places, and you can also trigger a ‘Dramatic Finish’, which ends fights with even freakier, often hilarious consequences. Dig deeper and you’ll find yourself with even more to think about. When a character’s health gets low, they’ll enter a rage which rapidly builds their ‘Heart Heat Gauge’ and makes them hit harder; a great leveller in lop-sided fights. Stage interactions too have an important part to play. Should you or your foe be felled in glowing areas of the stage, you’ll trigger damaging events can periodically knock you for six if you’re caught in the blast. This could be causing a chariot to run dangerously around the arena, cars to drive through your path, or bolts of electric to rain down from a nearby street sign. My personal favourite, though, was the ghostly serial killer flying around the room in a Polaroid photo, trying to hit you with a butcher’s knife. This quirky flare is a huge part of what All Star Battle does best, turning the most mundane action into a thrilling event; even something as basic as a throw gets the royal animation treatment here. However, for all the flashiness there are times where any potential rhythm gets stunted through its design. General movement, for example, is remarkably slow, so moving across the screen can be painful. There is also a long cool-down period after even the simplest of attacks that leaves you vulnerable a smidgen longer than it needs to. Even some of the Heart Heat Attacks can get in the way of any natural flow, and it’s for that reason I found it hard to enjoy all it had to offer. Also, while it looks and runs great with its manga art style, the audio can be a little too much at times. The soundtrack is great, don’t get me wrong; an awesome mix of upbeat jazz, but the shouts of general combat just hit a point where they grated on me enormously. Sure, you expect some recurrence in a fighting game’s audio, but unaided by the A.I.’s tendency to spam the same moves continuously, JoJo’s Bizarre Adventure takes repetition to a whole new level. Online is an important component for most fighting games, but All Star Battle comes up short in this area. Offering only Ranked and Player matches, the versus mode is riddled with lag that, instead of causing customary stuttering, pauses the action periodically to advise you that it’s ‘transmitting data’. Button lag too was a massive drag, with actions being performed almost half a second after the input, resulting in moments where attempts to execute single forward jumps could yield multiple jumps instead. I can’t wholly rule out the possibility of the infamous ‘crappy Australian internet connection’ as an issue, but when I’ve been playing other fighting games without a problem over the last year, so it’s hard to believe that the issues are all on my side. There is an interesting pseudo online option on offer called Campaign Mode, where you battle against a string of player-customised A.I. characters in the hope of finding bosses. While there’s some really cool stuff in here, such as the ability to buy status effects, I still favoured the uncluttered approach of the arcade mode. That said, the Campaign is still a far more varied and pleasing option than the Story Mode. All Star or No Stars? 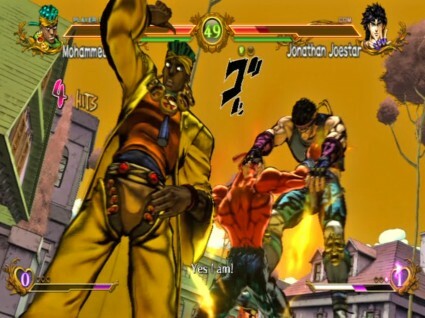 There is definitely a lot to like about JoJo’s Bizarre Adventure: All Star Battle, a whole lot in fact. It’s got a tremendous amount of heart and a spirited personality that’s completely its own. It didn’t matter one bit that I always didn’t understand what the hell was going on or why, because it just carries itself in such an entertaining fashion that I couldn’t help but go along with it. That said, there are definite issues that prevent it from being a standout in its genre. The lack of a solid training component is surprising, the Story Mode just isn’t that much fun given its importance, and elements of the core mechanics aren’t as refined they as should be. Throw in a problematic online mode and you’re left with a fighter that is certainly worth a look, but is just not as strong as its direct competition.